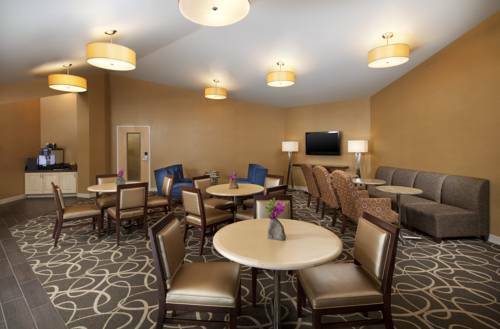 Set on the edge of Sonoma wine country, Sheraton Sonoma County - Petaluma welcomes guests with a prime location, inspired amenities and excellent service. Recharge in our spacious, pet-friendly rooms and suites. All rooms benefit from our Sheraton Signature Beds, mini-refrigerators, flat-screen TVs, well-lit desks and Wi-Fi; most rooms have either marina or Petaluma views. Club Level hotel rooms offer access to Club Lounge amenities, and suites feature generous living rooms for working, relaxing or entertaining. Savor innovative California cuisine, made from locally sourced ingredients, at our signature restaurant, take a dip in our outdoor pool or work out at Sheraton Fitness. Event planners appreciate our hotel's versatile event venues, expertly supported by technology, professional planners and custom catering. When you are ready to explore, you'll find yourself close to historic downtown Petaluma, Graton Casino and Sonoma State University, as well as within driving distance of more than 300 wineries. Tolay Restaurant: Savor unique regional California cuisine at Tolay, the signature restaurant of our downtown Petaluma hotel. The restaurant, and wine bar, is known for using the freshest, seasonal local products and offering an award-winning wine list. The Larry L. Hillblom Foundation, Inc.